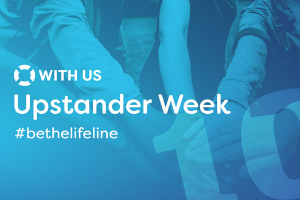 — Take the Upstander Pledge and set the example for those around you. — Participate in the Upstander Challenges: Follow WITH US on Facebook to participate in the campaign’s daily lessons and challenges for aspiring upstanders. — Join the 10x Giving Challenge: Help create safer campus communities by making a gift to support lifesaving bystander intervention programs and awareness campaigns. — Share the Movement and use the #BeTheLifeline hashtag for posts on Instagram and Facebook to keep the conversation going in your community. Go to http://withus.org/upstander for more information, or click here to read the full news release. In October 2019, ASI will begin a renovation of Chumash Auditorium located in the McPhee University Union. The auditorium has not undergone a large-scale renovation since the building opened in 1971. As the main auditorium used on campus, the facility sees thousands of reservations every year and is home to some of the university's largest events while also serving as a location for clubs and departments to host meetings and events. 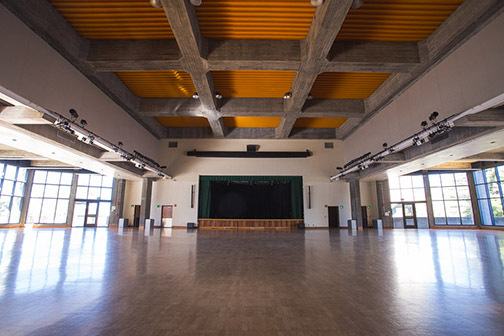 Through the renovation project, ASI hopes to enhance the many functions of the space while also capitalizing on advances in lighting, sound, staging and more. ASI will hold an information-gathering session for the Cal Poly community on Tuesday, Dec. 4, from 1 to 2 p.m. in Chumash Auditorium. The intent is to gather input on how the space has been used in the past and how it could be improved to meet the needs of the campus community for the future. For more information, contact Ron Skamfer, director — facilities management, at ext. 6-1263 or rskamfer@calpoly.edu. 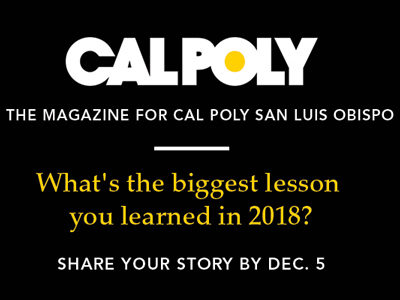 As part of an ongoing brand strategy effort, all faculty, staff and students will have the opportunity to give feedback on potential creative concepts related to the Cal Poly brand. Each member of the campus community will receive an email this week with a unique link to take an online survey reviewing potential logo and marketing material designs. 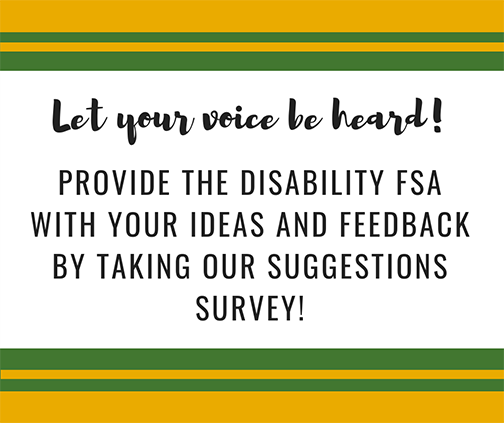 The survey will take about 15 minutes, and all feedback will be anonymous. The input of the campus community plays a critical role in informing an authentic brand that accurately reflects where Cal Poly is headed. University Marketing is leading the effort with higher education marketing firm SimpsonScarborough. The brand strategy process will also influence a redesign of the Cal Poly website. Nine student projects are seeking support in the first-ever fall launch of Spur Change, a new digital crowdfunding platform where colleges, units, programs, clubs and organizations can secure funding for projects that enhance the Learn by Doing experience. Hosted and managed by Annual Giving, the Spur Change platform will give project sponsors the opportunity to use the power of crowdfunding by reaching out to networks to raise funds for their featured projects. The projects have a week or less to reach their goals, so visit https://crowdfund.calpoly.edu/ to help. By giving, you can help: send Black Student Union members to the Afrikan Black Coalition Conference at UC Merced in January; fund the Multicultural Business Program’s Leadership Beyond the Resume Conference; send Engineers Without Borders and Critical Global Engagement Club students to a United Nations forum; help the Future Fuels club build a more sustainable future; send Theatre and Dance Department students to New York; help the Climate Change Action Research Group go to the California Higher Education Sustainability Conference; make the Zero Waste Ambassadors program a student-run effort; fund MEXA's Xicanx Youth Conference at Cal Poly; and help the Human Powered Vehicle Club break a record. Learn more here. The Cal Poly Poinsettia Student Enterprise is selling plants to the campus and the broader community. The plants make nice additions to graduation receptions, banquets and general office holiday decor. The sale will be held Nov. 30, Dec. 1 and Dec. 8 from 10 a.m. to 5 p.m., and Dec. 4-7 from 10 a.m. to 3 p.m. at the Poly Plant Shop in the Horticulture Unit (No. 48), at the top of Via Carta Road. 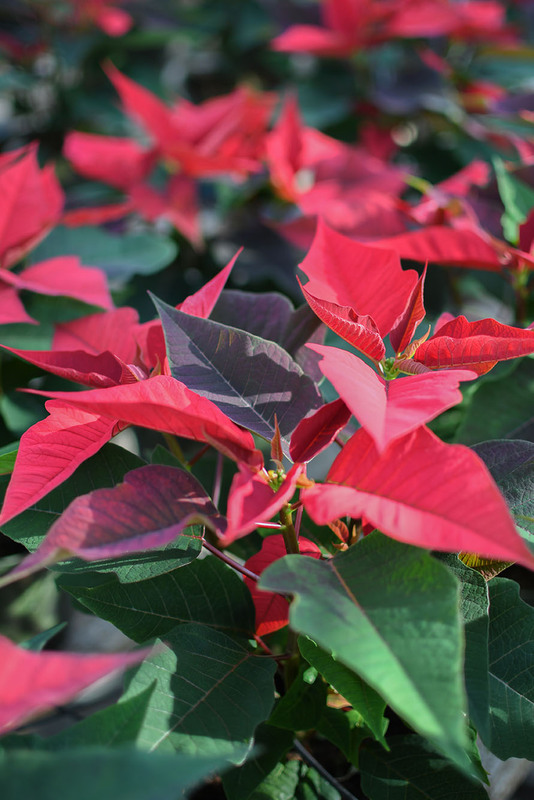 This year’s poinsettia project offers many shades of red, white, pink and other variegated varieties. Sizes range from small plants in 2-inch pots to large poinsettias reaching 3 feet high, in 10-inch pots. Prices range from $5 to $55. Questions? Call ext. 6-1106. The Cal Poly Women's Club will hold its annual holiday dinner Tuesday, Dec. 11, at the San Luis Obispo Country Club. This year’s theme is “Aloha Holiday Spirit” and a local hula group will perform. In the spirit of Aloha, guests are encouraged to bring nonperishable food and toiletry items to be donated to the Cal Poly Food Pantry. Tickets are $40. For more information and to RSVP for the event by Nov. 28, contact Valerie Barboza at valerie.barboza@gmail.com. Check out the club website at https://womensclub.calpoly.edu. Does your usual holiday celebration focus on those aspects that you feel are most important? No? Maybe a motivational boost in the form of a reminder of what truly is important may help. 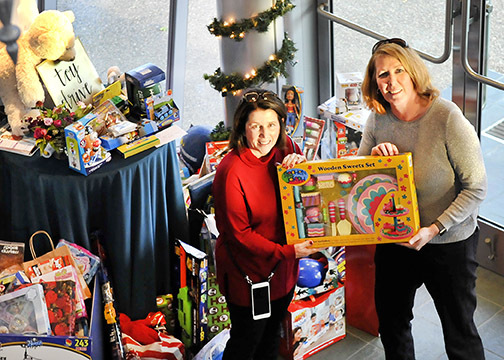 A Dec. 4 workshop will discuss setting realistic expectations, developing a budget, involving kids in the preparation as well as the celebration, establishing traditions, creating gift ideas and staying healthy. Join Employee and Organization Development for a webinar from Employee Assistance Provider — Empathia. 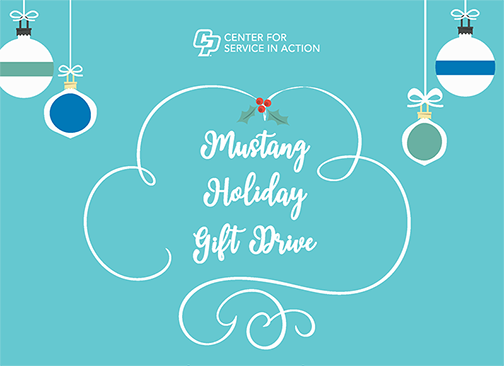 Register here and come to the Cal Poly Police Training Room (Building 36, Room 105) from noon to 1 p.m. Tuesday, Dec. 4. A new and improved version of PolyData Dashboards, a suite of Oracle business intelligence tools that provides campus reporting, will be available for staff and faculty users on Sunday, Dec. 2. The application upgrade features a sleeker interface, more mobile-friendly dashboards and improved functionality. PolyData Dashboards will be unavailable from 6 a.m. to noon Saturday and Sunday, Dec. 1-2, while the upgrade takes place. For more information, visit https://polydata.calpoly.edu/content/dashboards/index. If you need assistance or have any questions, contact the ITS Service Desk at ext. 6-7000. This month’s four-minute NINJIO information security training video, “Data Loss by the Logger,” shows what can happen if you’re not careful when accessing work files from home. 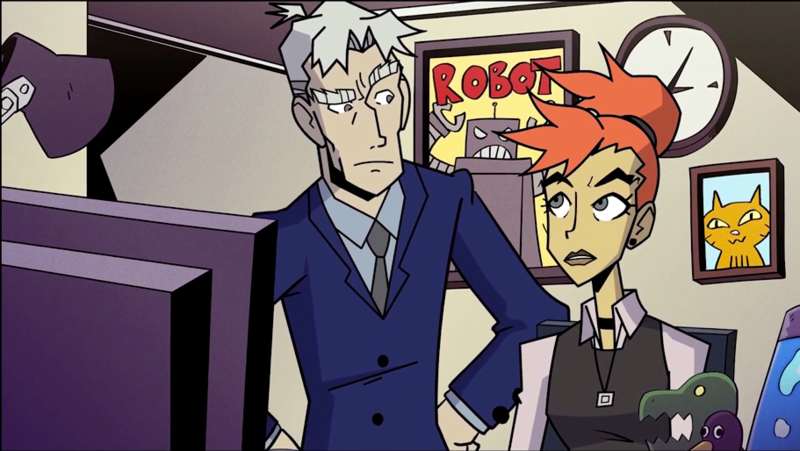 The main character cuts a few corners regarding his firm’s IT security procedures while working from home. The result places his entire career at stake when hackers use a keylogger to gain his exact login credentials. View the episode for tips on protecting yourself against keylogging malware. NINJIO releases a new security topic each month, aimed at spreading security awareness. All videos are available through Skillsoft under the Staff and Faculty Training tab on the My Cal Poly Portal. The campus Fidelity Investments representative, Christel Whittier, will host individual appointments on Wednesday, Nov. 28, in Room 128G of the Administration Building (No. 1), and Thursday and Friday, Nov. 29-30, in Room 133 of the Administration Building. These appointments are available to all faculty and staff who have questions about retirement savings and investment options. Attendance is subject to supervisory approval and based on departmental operational needs. To schedule an in-person consultation, visit http://getguidance.fidelity.com. Debbie (Arseneau) Dudley, associate registrar for the System Management Unit in the Office the Registrar, will retire Dec. 31 after 36 years of service (click here to read an extended biography). 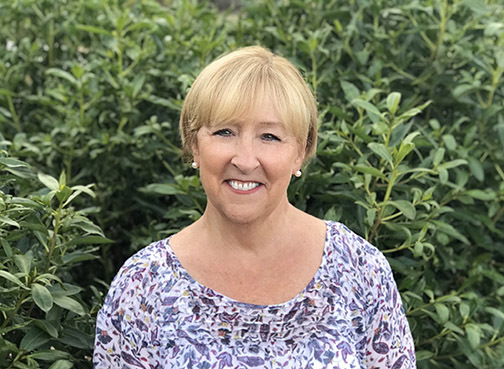 Dudley began her career in 1982 as the university class scheduler for Cal Poly, and she continued to manage campus class scheduling single-handedly for many years. Throughout her time, she oversaw transitions to different scheduling technologies and systems, even serving as the voice of “Capture,” a previous phone registration system (recognized in an amusing YouTube Video). Due to Dudley's scheduling expertise and personal dedication, she earned Cal Poly’s Outstanding Staff Award in 1988-89. In 2004, she served as Student Records’ Lead during the implementation of PeopleSoft. Her software expertise, extensive knowledge and work ethic earned her a promotion to associate registrar in 2006. Since then, she has continued to lead the office through a number of large-scale software implementations and upgrades. Dudley has also served an essential role in initiating other services like block registration for first-year students, online transcripts, PASS, PolyPlanner, and countless other vital projects. Dudley's contributions to Cal Poly are immeasurable, and the impact of her work and commitment is extensive. Join us in wishing Dudley a fond farewell from 3 to 5 p.m. Thursday, Nov. 29, in the Performing Arts Center Lobby. Light refreshments will be served. 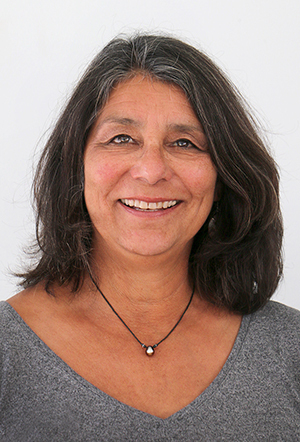 Karen Aguilar, accountant in the College of Agriculture, Food and Environmental Sciences, will retire in December after 31 years of service to Cal Poly. She joined the university in 1987 as an agricultural clerk and cashiering supervisor with the Cal Poly Corporation. Thirteen years later, she moved to University Fiscal Services — quickly transitioning from an accounting technician to an accountant. She stayed there until joining the College of Agriculture, Food and Environmental Sciences in 2012. Aguilar is known for her dedication, willingness to help, and as the go-to person to get things done. Those who work with her value her upbeat personality, energetic enthusiasm, sense of humor and positive presence. Join in celebrating her achievements and wishing her well in retirement from 2 to 4 p.m. Thursday, Nov. 29, at the Cal Poly Alumni and Conference Center (No. 28). 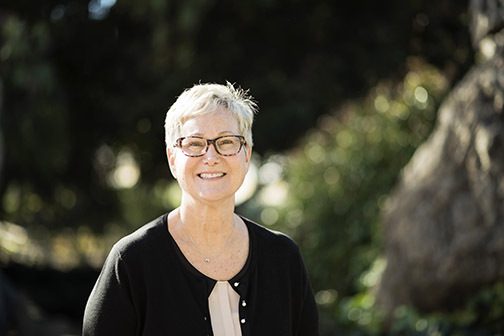 Maureen Conner will retire at the end of December after 11 years and four months of distinguished service to Cal Poly and the College of Science and Mathematics. Conner served in five of the college’s eight departments before concluding her career as the personnel coordinator in the Dean’s Office, where her comprehensive knowledge of the departments and her tireless work ethic made a tremendous impact. Always willing to go the extra mile to help a colleague or student or ensure that a job was well done, Conner brought a deep dedication to her work and a generous heart to every interaction with students, staff and faculty. She also contributed to the university as a long-standing essential member of the organizing committee for the annual Service Awards. A retirement reception will be held from 3 to 5 p.m. Friday, Nov. 30, on the fifth floor lobby of the Baker Center for Science and Mathematics (No. 180). Cindy Holton, administrative support coordinator for the Biomedical Engineering Department in the College of Engineering, will retire Nov. 30 after 18 years of service. 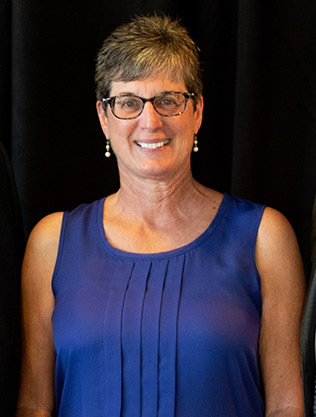 Prior to joining Cal Poly, Holton worked as the secretary to the city manager and deputy city clerk for the city of Atascadero for almost 15 years, bringing her total years in government service to 33. 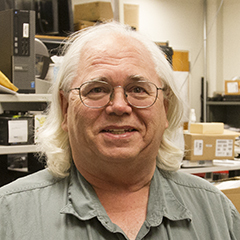 Holton has been an incredible source of institutional knowledge, and has helped the Biomedical Engineering Department grow from a startup operation into the established organization it is today. She will be missed greatly by everyone she interacted with as the face of Cal Poly biomedical engineering, as well as her many friends from across campus. A retirement reception will be held from 2 to 4 p.m., Friday, Nov. 30, in the courtyard of the Engineering Building (No. 13). Come wish Holton well as she departs for her next series of adventures. Joan Kennedy will retire on Dec. 31 after 34 years of service to Kennedy Library and Cal Poly. Kennedy has had a profound impact throughout her career, working in almost every department in Kennedy Library. 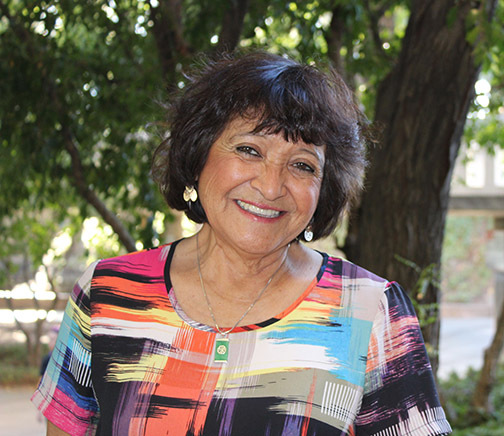 In 1983, she earned an Master of Arts degree in education, counseling and guidance from Cal Poly and then started her career at Kennedy Library with positions in Learning Resources, Special Collections and University Archives, Circulation and Collection Management. In addition to her library work, Kennedy has had a major impact on our campus and across the CSU in her various roles in Chapter 316 of CSUEU, especially as chapter president since 2007. CSUEU Vice President Jeff Nadel said, “Joan has been key and instrumental on campus committees and labor relations, workplace and civility issues in leading and participating in such areas as diversity committees, the Cal Poly Equity Compensation Program, and campus climate surveys, to name a few.” President Armstrong said, “Joan has been a valued member of the Cal Poly family for many years, and her personal commitment and loyalty throughout her career have made our university a better place. It goes without saying that she will be missed by all who have benefited from knowing her and working alongside her. I personally will miss her honesty and energy, but I wish her all the best in a well-deserved retirement. I know Joan will continue to do great things, and would venture to guess that she will always remain Cal Poly Proud. We will do our best to follow her example and to continue to give her reason to be proud. Thanks, Joan, for all you've done for all of us." A reception will be held in Kennedy's honor from 2 to 4 p.m. Wednesday, Dec. 12, in Kennedy Library, Room 209. Employee and Organization Development will lead a Nov. 29 discussion about “The Power of Privilege,” a TED Talk by Tiffany Jana, co-author of “Overcoming Bias: Building Authentic Relationships Across Differences,” and co-founder of the diversity and inclusion management consulting firm TMI Consulting Inc. The talk helps attendees understand what it means to talk about privilege and what can be done with that power. 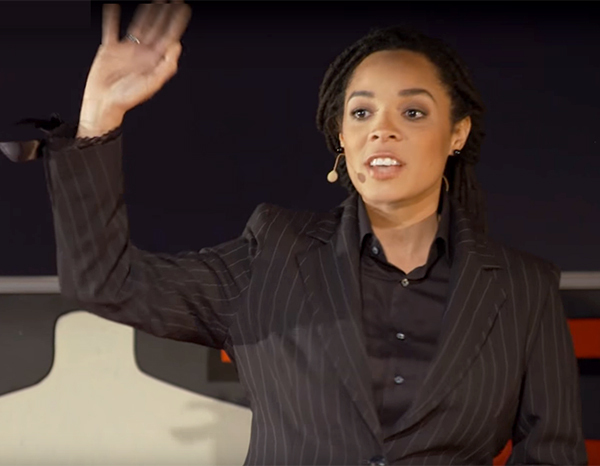 Jana, in her candid TED Talk, shares that people are not powerless against unconscious biases and can use privilege for good. This Learning Circle occurs from 12:10 to 1 p.m. Join in and watch the recorded TED Talk, then engage in open sharing, exploration and discourse. Register here. The University Art Gallery will present “New Nature,” a one-take, 24-hour-long video that captures a day and a night in the life of a wild place, by artist Mark Tribe to run Thursday, Nov. 15, to Friday, Dec. 7. 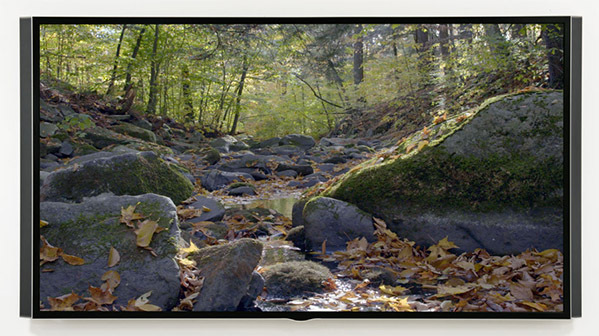 Shot in a single take on a stationary digital cinema camera, these pictures of Balsam Lake Mountain Wild Forest in New York are meant to be exhibited on large ultra-high-definition screens with immersive sound systems. The gallery, located on the ground floor of the Dexter Building (No. 34), is free and open to the public from 11 a.m. to 4 p.m. Tuesday through Saturday. 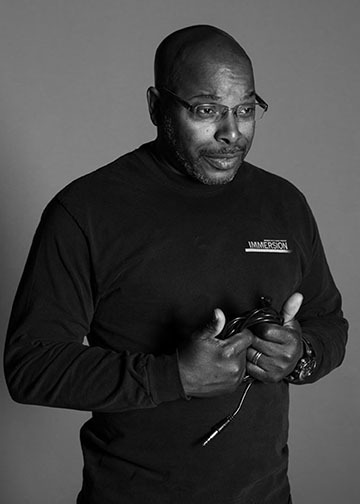 Tribe will also give a talk about his work at 5 p.m. on Thursday, Nov. 29, in Room 149 of the Dexter Building. A reception will follow at 6 p.m. in the gallery. Tribe is interested in the traditions of Western landscape painting and photography, and how they are reflections of the ideologies that were prevalent in the societies that produced them. If, for example, the paintings of the Hudson River School and the frontier photographs of Carlton Watkins and his peers are expressions of the idea of manifest destiny, what kinds of landscape images might flow from the ideology of environmentalism in an age of climate change and mass extinction? What are your lunch plans on Friday, Nov. 30? Join us for our PAC-A-Lunch Concert Series, sponsored by PAC Outreach Services. Bring a lunch and enjoy a free concert in the beautiful Performing Arts Center Lobby at noon. 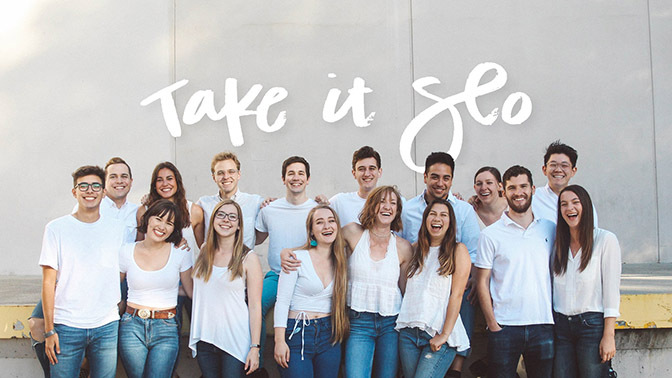 The November concert will feature members of Cal Poly’s A Cappella group, Take it SLO, singing original arrangements to get your feet tapping. Tell colleagues, bring a friend and get in tune with your lunch hour. 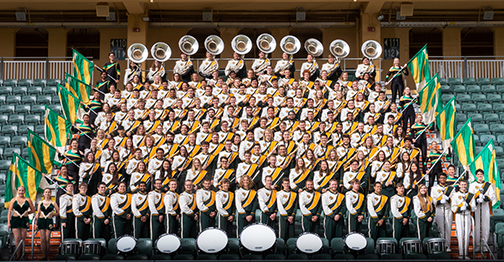 Nearly 300 students will perform at the annual Bandfest at 8 p.m. Friday, Nov. 30, in the Performing Arts Center. The show will feature the Cal Poly Wind Orchestra and Wind Ensemble in an evening of works ranging from the sensitive to the powerful. The concert will begin with Jack Stamp’s “Gavorkna Fanfare.” Other works on the program include José Rafael Pascual-Vilaplana’s “Sit de Plata,” and Percy Grainger’s “Colonial Song.” The Cal Poly Chamber Winds will present Gordon Jacob’s setting of English folk songs, “Old Wine in New Bottles.” “As we launch this season’s Cal Poly Bands series, we begin an exploration of how the wind band can be used to express a cultural ‘voice,’” said Christopher J. Woodruff, Cal Poly’s new director of bands. “The big piece for the Wind Ensemble is a marvelous multi-movement take on Cajun song and dance by Frank Ticheli.” The Mustang Band will conclude the concert with arrangements the group is performing at this fall’s football games in Alex G. Spanos Stadium. Tickets for the concert are sold at the Cal Poly Ticket Office, ext. 6-4849. For more information, visit the Music Department calendar website or call ext. 6-2406. 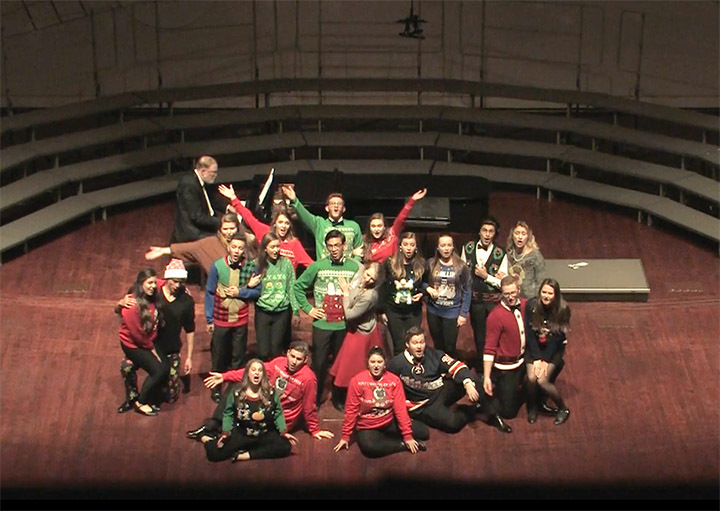 The Cal Poly Choirs will present the second annual “Holiday Kaleidoscope” at 3 p.m. Saturday, Dec. 1, in the Performing Arts Center. Cal Poly’s PolyPhonics, the University Singers and Chamber Choir will be joined on the concert by three local high school choirs: Cabrillo (Lompoc), Morro Bay and San Luis Obispo. Additional special guests will be featured, including string and brass players, a guest speaker and something especially for children in the audience. The Cal Poly Choirs will perform works by Wolfgang Amadeus Mozart, Dieterich Buxtehude, Herbert Howells, Ēriks Ešenvalds and others, as well as various arrangements of popular carols and seasonal tunes. The combined forces of the university and high school choirs will perform Daniel Pinkham’s exciting “Christmas Cantata” for brass ensemble, organ and choir. Audience members can participate in a carol sing-along, and enjoy fun-spirited “cameo” pieces. Cal Poly staff member Paul Woodring will accompany the choirs on piano and organ. Jennifer Peterson conducts the Cabrillo High School choir, Holly Banfield conducts the Morro Bay High School choir, and David Alm conducts the San Luis Obispo High School choir. 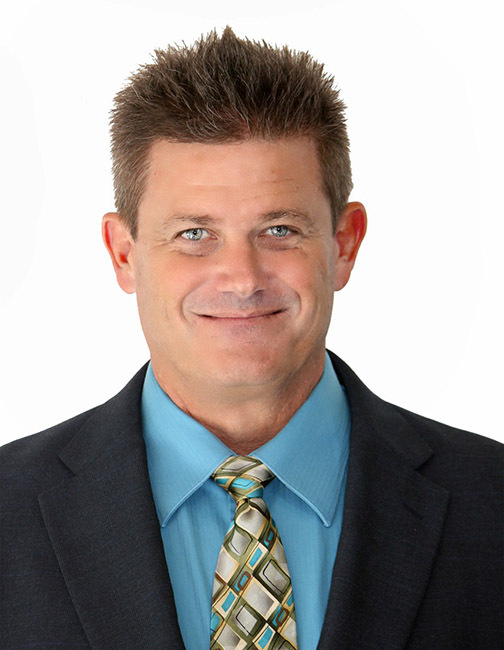 Scott Glysson is Cal Poly’s director of choral activities. Tickets for the concert are sold at the Cal Poly Ticket Office, ext. 6-4849. For more information, visit the Music Department calendar website or call ext. 6-2406. The Arab Music Ensemble and Chookasian Folk Music Ensemble will perform a program of works from the Eastern Mediterranean and larger region at 8 p.m. Saturday, Dec. 1, in the Spanos Theatre. The Arab Music Ensemble will begin the program. The ensemble is a multi-instrumental orchestra and choir with vocal and instrumental soloists. Its membership represents a wide range of majors on campus and professions off campus. San Luis Obispo dance director Jenna Mitchell will lead the ensemble’s dance troupe in original choreographies that dialogue with the music. Samuel Shalhoub is acting director of the Arab Music Ensemble for the 2018-19 season while its regular director, Ken Habib, is on sabbatical. Shalhoub has been a long-time participant in the group and is also a lecturer in the Liberal Studies Department. 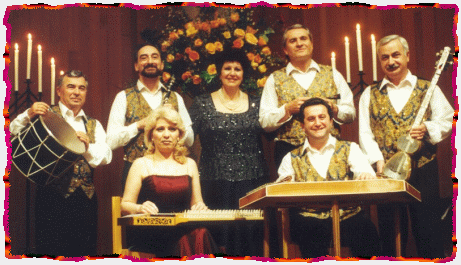 The second half of the program will feature a special guest presentation by the Chookasian Folk Music Ensemble (pictured), in a performance of traditional and contemporary Armenian music. 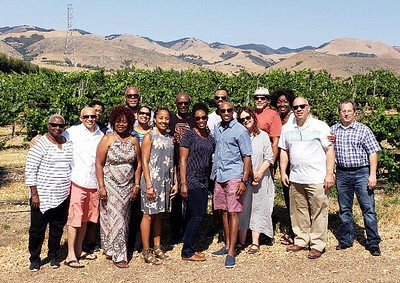 Based in Fresno, the group is led by John Chookasian, who was born in New York to immigrant parents from Sebastia, in historic Western Armenia. Tickets for the concert are sold at the Cal Poly Ticket Office, ext. 6-4849. For more information, visit the Music Department calendar website or call ext. 6-2406. The Cal Poly Symphony will explore the rhythm and vibrancy of dance across the historical spectrum in its Fall Concert at 3 p.m. Sunday, Dec. 2, in the Performing Arts Center. The first half of the program features Ottorino Respighi’s “Ancient Airs and Dances,” a 20th-century reworking of 16th-century lute music; Claude Debussy’s sensuous “Sarabande,” orchestrated by Maurice Ravel; and John Adams’ “The Chairman Dances.” “This stylistically varied set of works spans a huge amount of history,” said David Arrivée, who will conduct the performance. 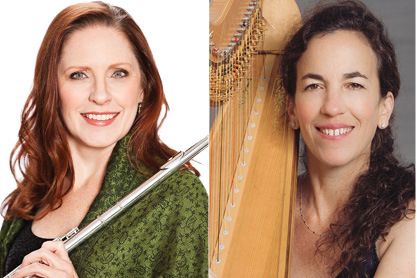 “This music allows the orchestra to tackle everything from the Galliard, a Renaissance dance found in the Respighi, to John Adams’ pulsing, minimalist take on a Foxtrot.” The second half of the program will feature two guest artists: harpist Marcia Dickstein, and flutist Suzanne Duffy. Dickstein will perform Claude Debussy’s “Dances sacrée et profane” (“Sacred and Profane Dances”), a showpiece work commissioned to display the capabilities of the newly invented chromatic harp. Duffy will then join Dickstein to perform Howard Hanson’s “Serenade for Solo Flute, Harp and String Orchestra.” The concert will conclude with Arturo Márquez’ energetic Latin dance, “Danzón No. 2.” Tickets for the concert are sold at the Cal Poly Ticket Office, ext. 6-4849. For more information, visit the Music Department calendar website or call ext. 6-2406. Women’s Basketball vs. Eastern Washington, Mott Athletics Center, 11 a.m.
Women’s Basketball vs. Saint Mary’s, Mott Athletics Center, 2 p.m.
#105113 — Data Warehouse Engineer (Analyst/Programmer — Career), ITS — App Dev and Info Management. $4,372-$10,478 per month. (Anticipated hiring range: $7,500-$8,750 per month.) Open until filled. This internal recruitment is open to Cal Poly employees only (state, Corporation and ASI). #105116 — Access Specialist (Student Services Professional II — Exempt), Student Affairs — Disability Resource Center. $4,179-$5,942. (Anticipated hiring range: $4,179-$4,300). Open until filled. Catering Assistant Manager, Campus Dining, $45,801-$68,723 per year.